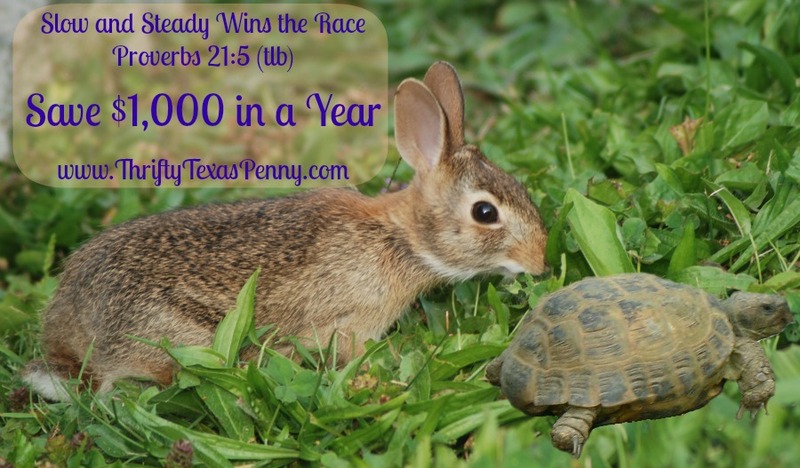 A Biblical 52 Week Money Challenge - Slow and Steady Wins the Race! I’ve been seeing lots of posts on facebook for the 52 Week Money Challenge a.k.a the “save $1,300 with me in 2014” plan. The idea is that in the first week of 2014 you put $1 into savings, in the 2nd week you put $2, and the 3rd week $3 etc. By the time you put $52 into your savings in the last week you’ll have over $1,300. While I do love the concept, I think most people will lose momentum as they begin depositing those larger $ amounts. Just like in the story of the Tortoise and the Hare- the hare was faster, but he couldn’t sustain those speeds. The tortoise was slow and steady and he won the race. Actually it’s not just my thought or a children’s fable, it’s biblical. Proverbs 21, verse 5 from the Living Bible translation says “Steady plodding brings prosperity; hasty speculation brings poverty“. Even with our limited income, we could easily throw $5 a week into a piggy bank or savings account, but $50 a week would really hurt us. Even when our income was more than twice what it is now, I’d have a hard time putting $40 or $50 into savings each week without thinking about how far that $50 could go in our budget. So if $5 a week is easy but $50 a week hurts, what about $20? For most of us $20 is a manageable amount of money, especially if it became a habit to set it aside every week. 50 weeks of saving $20 will yield you $1,000 without considering any menial interest that it may earn in a savings account. Many banks will allow you to set up automatic transfers. You can automatically transfer $20 from your checking account to your savings account each week to make it even easier to save. Or put $20 cash into a piggy bank every week when you withdraw your weekly spending cash. The key is to dedicate the $20 to savings at the beginning of each week instead of waiting to see if you have it left at the end of the week. Do you need to start an emergency fund, pay for Christmas next year or want to save for a vacation? 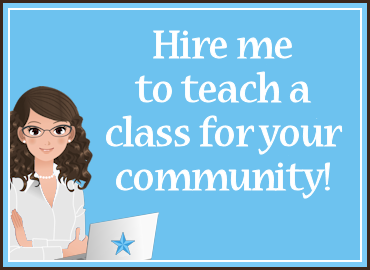 Here’s a great way to do it! If you already have a healthy emergency fund and don’t have any other larger ticket items you want to save for, consider putting an extra $20 a week towards consumer debt or mortgage debt. You’ll be surprised at how much difference you’ll make over time. My challenge to you is to practice the “steady plodding” that scripture says by putting $20 aside each week to save $1,000 over the next 50 weeks of 2014. What will your $1,000 go towards?